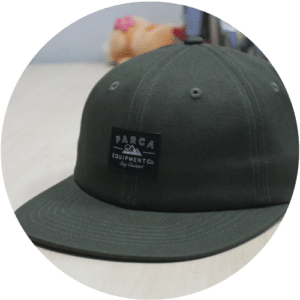 The cap of the day is an unstructured 6 panels flat visor from Parca Equipment Co. Made entirely of 100% cotton twill, it features a leather strap with brass buckle. 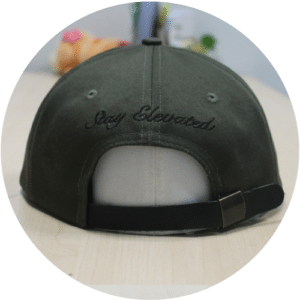 Using this kind of closure gives a real premium look to your hats. 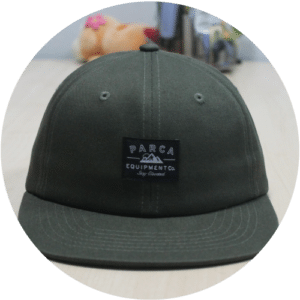 Let’s focus on the overall look of this custom cap, the main idea was to go for a plain khaki hat since it goes very well with many colors and thus very easy to match with ones outfit. 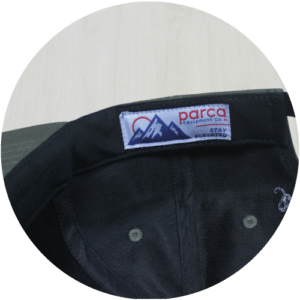 A woven label was sewn to the front of the hats with the brand’s name, just enough to make a statement without over branding it. The inside is lined with our premium lamination while we added a branded label on the sweatband. Parce was once one of Australia’s top gun in the streetwear industry, unfortunately the brand is not around anymore.